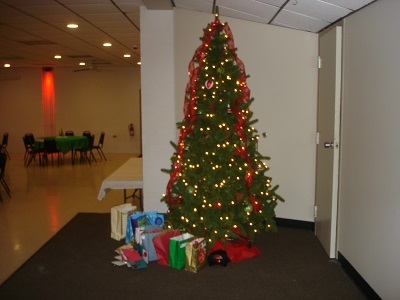 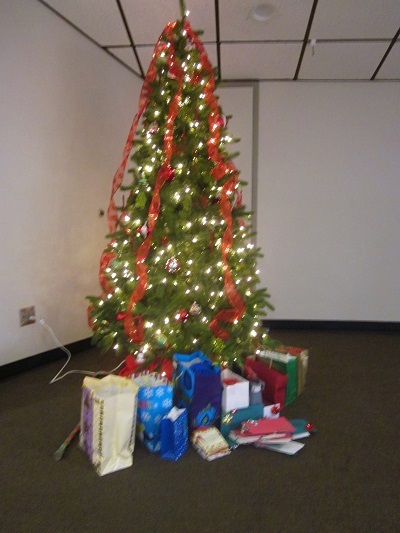 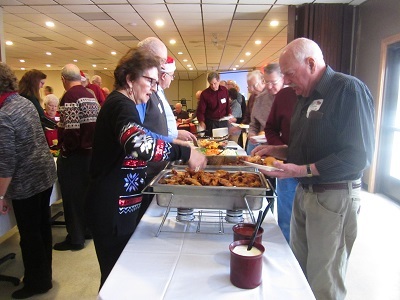 The 2017 Rochester IBM Alumni Club Christmas Party was held on Thursday, December 14th at the beautifully renovated Eagles Club in Rochester. 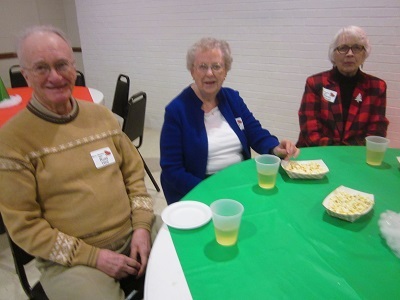 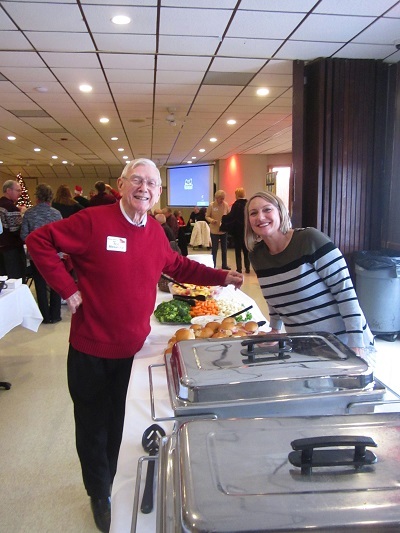 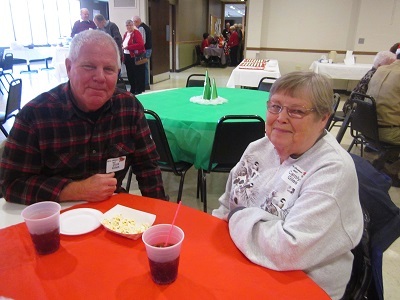 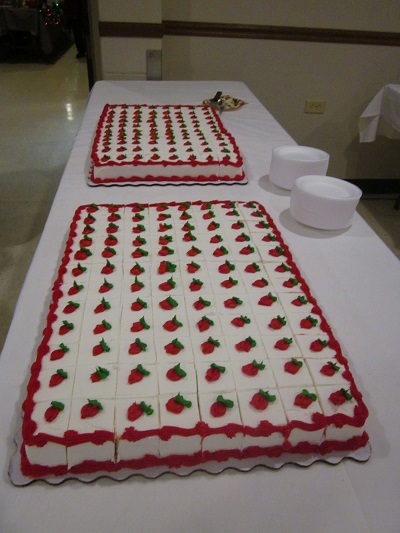 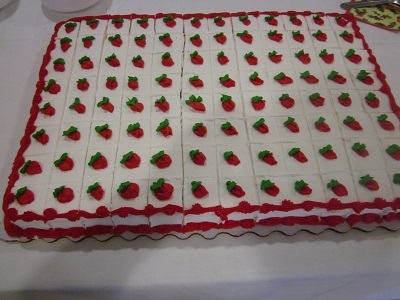 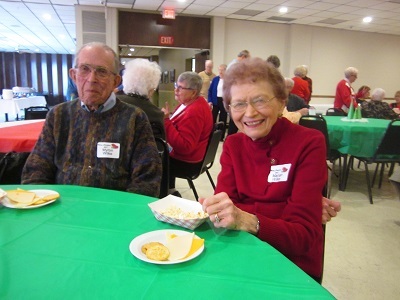 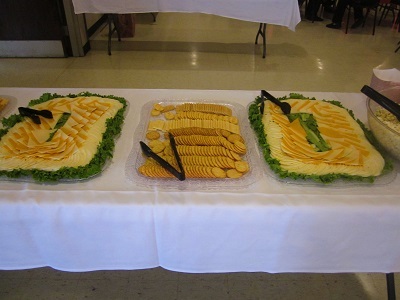 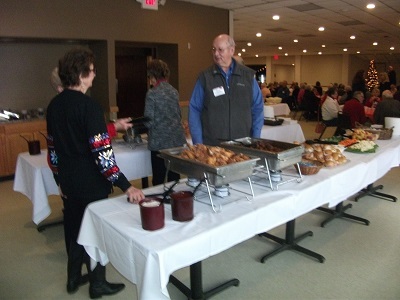 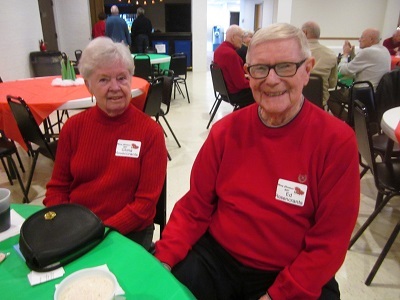 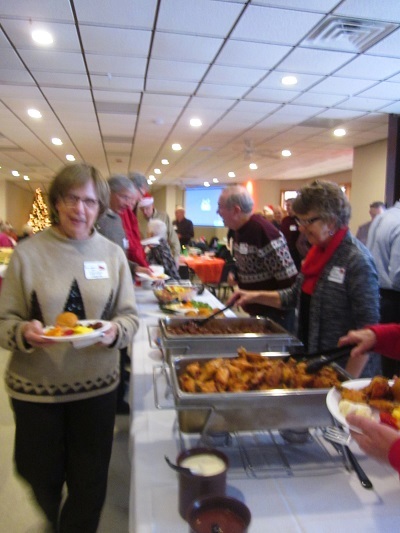 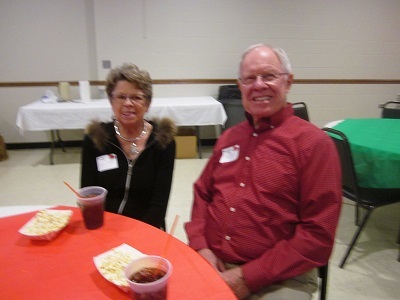 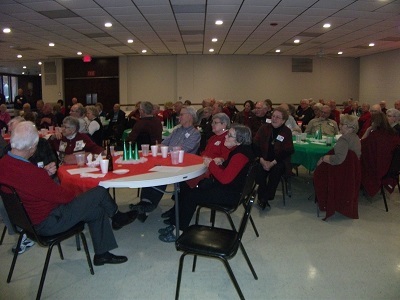 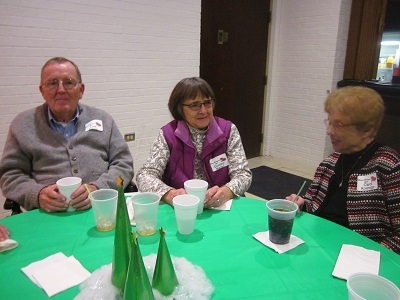 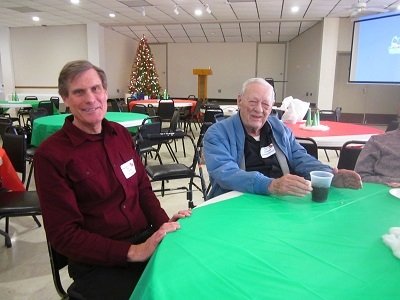 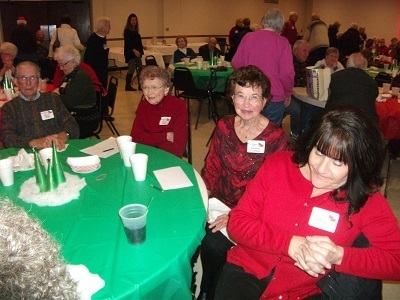 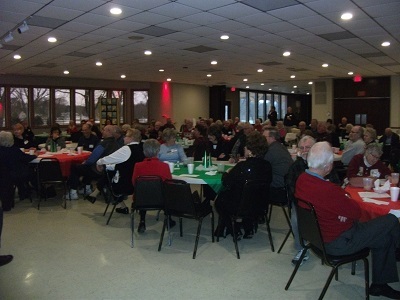 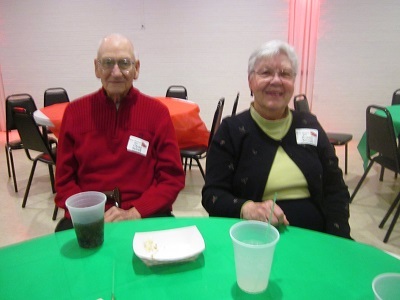 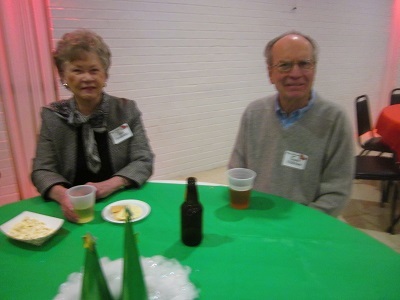 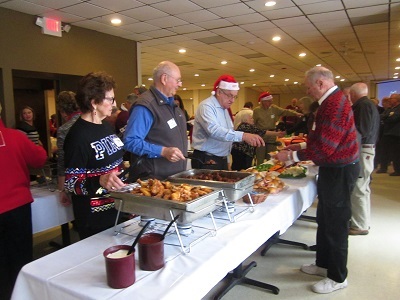 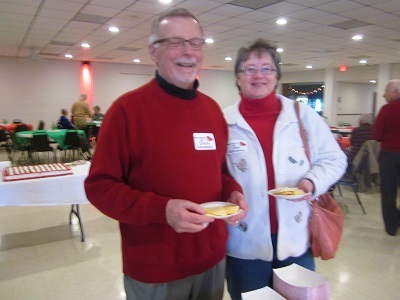 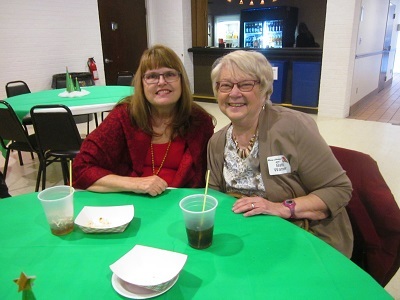 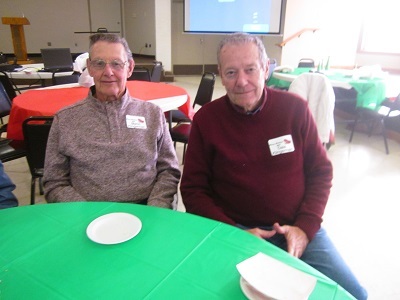 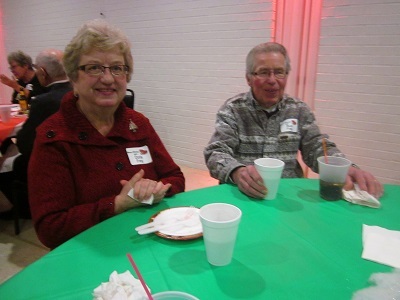 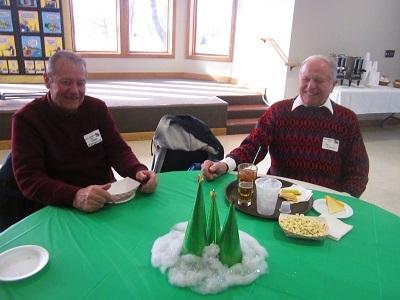 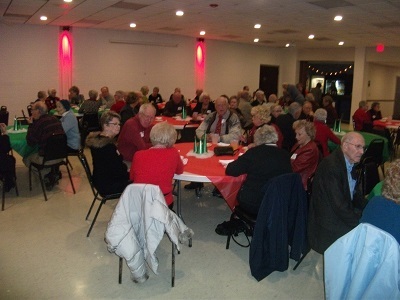 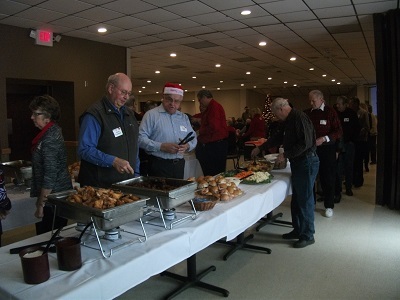 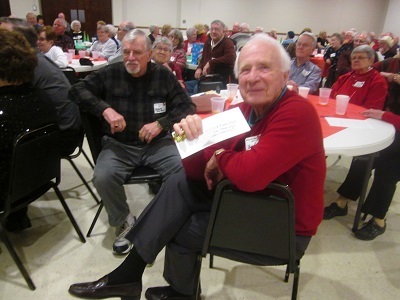 Great food, conversation, and door prizes were enjoyed by about 150 Alumni club members, spouses, and guests. 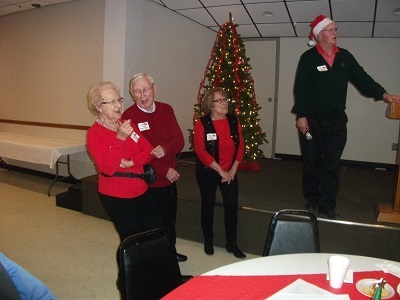 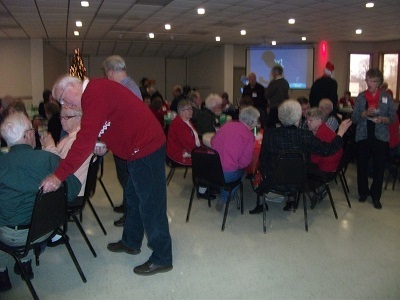 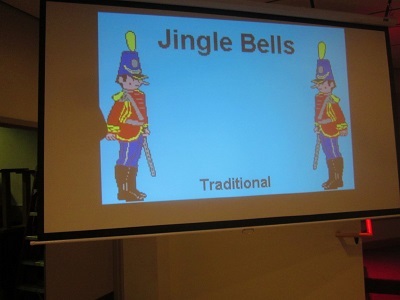 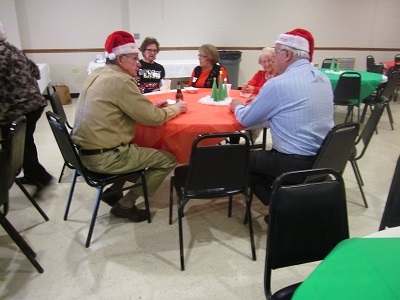 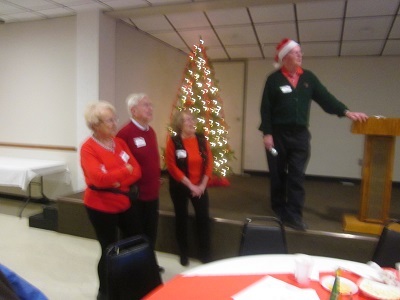 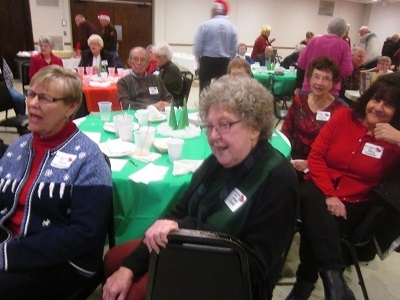 Entertainment included a brief comedy skit and Karaoke Christmas carol sing-a-long. 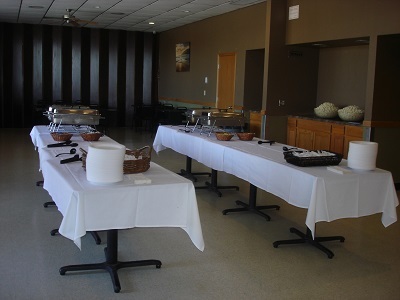 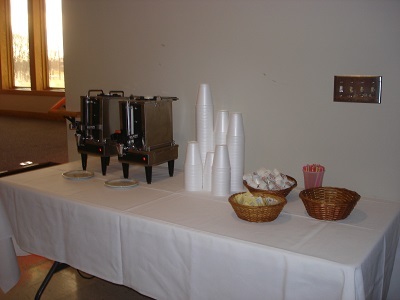 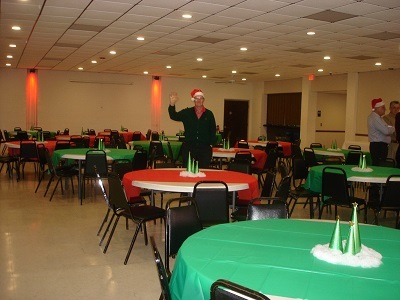 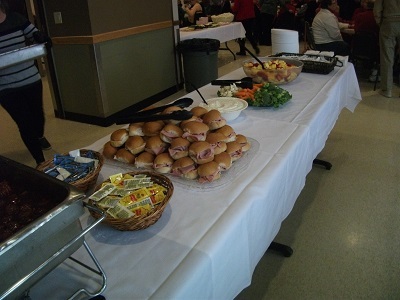 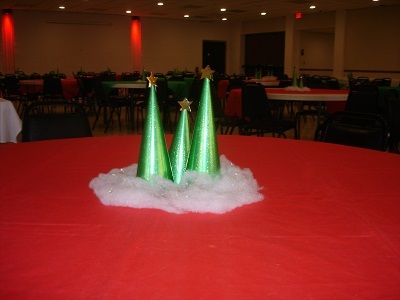 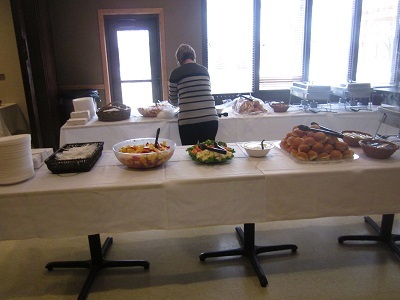 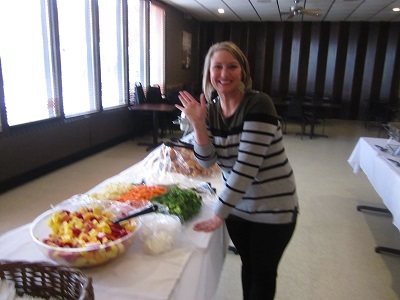 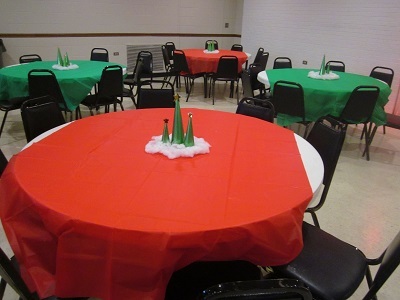 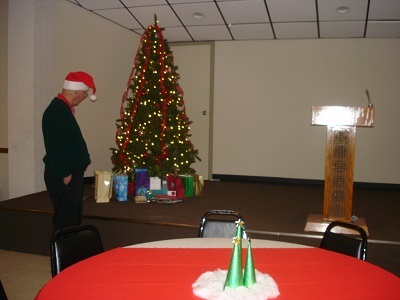 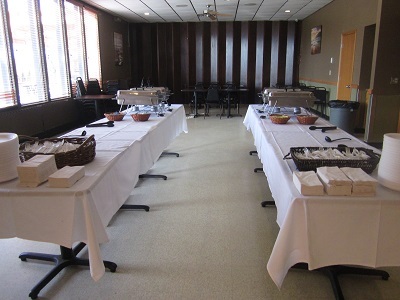 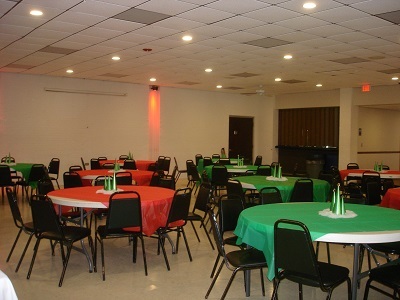 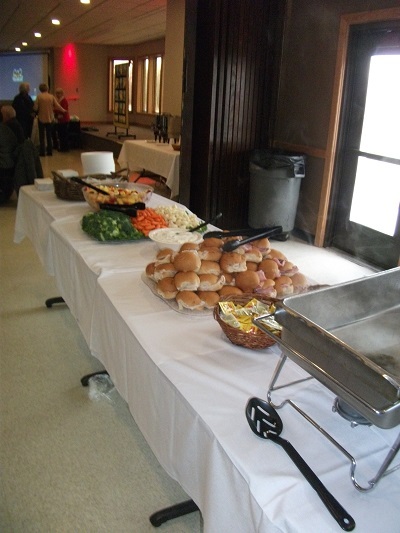 Megan Harms and the Eagles staff did a great job in setting up the room and organizing food and beverage service. 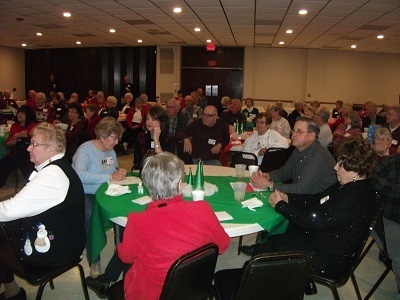 A BIG THANKS to the great group of volunteers who helped put on this event. 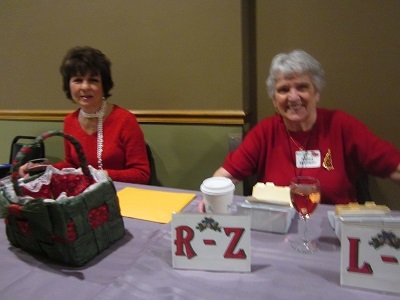 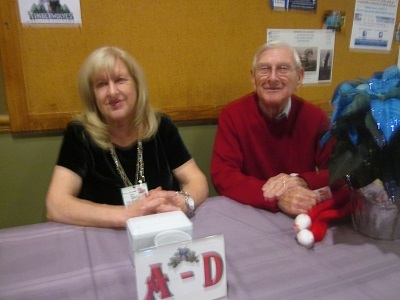 Nancy Morrison and Seig Hoeppner for making those great name tags and working the welcome table. 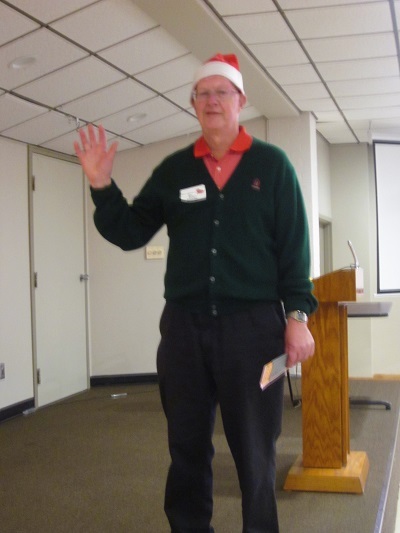 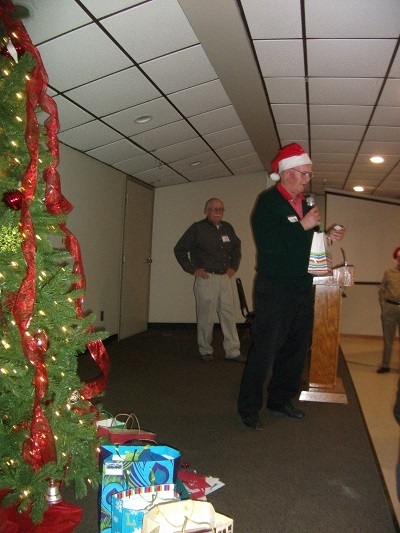 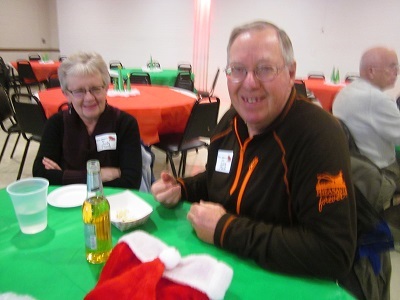 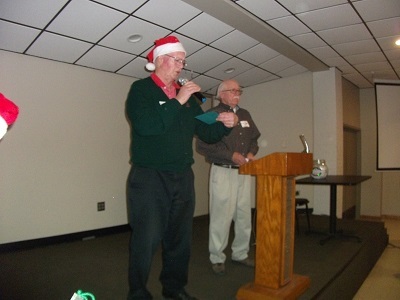 Karl Shidler for setting up the group Karaoke, music and obtaining numerous door prizes. 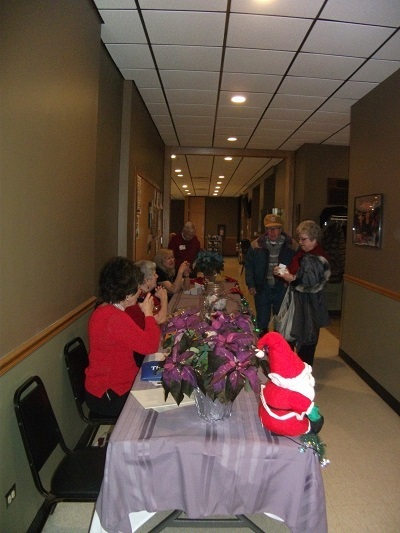 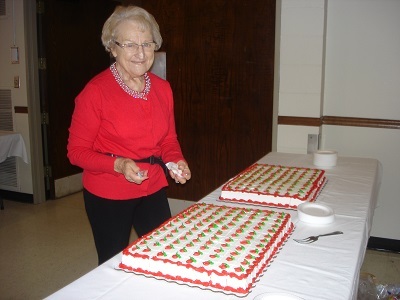 Darlyne Burchfiel for obtaining and serving the cake, Jeannie Varsoke treasurer at welcome table. 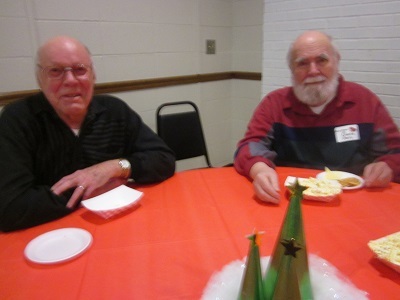 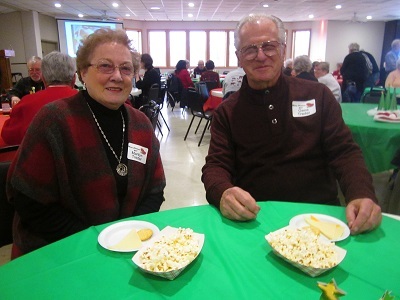 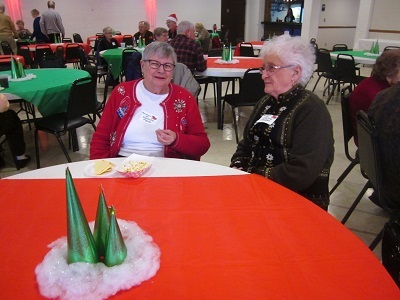 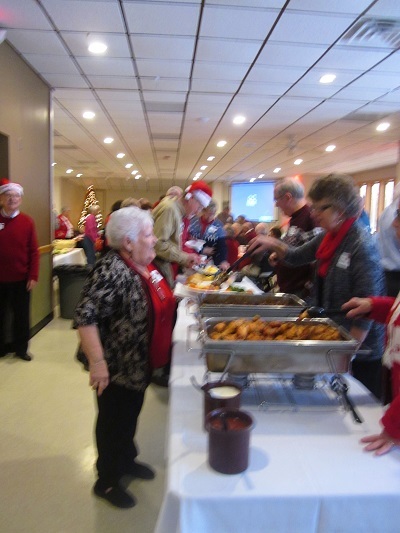 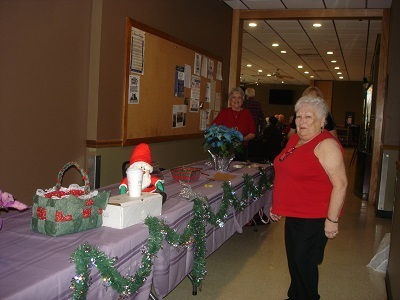 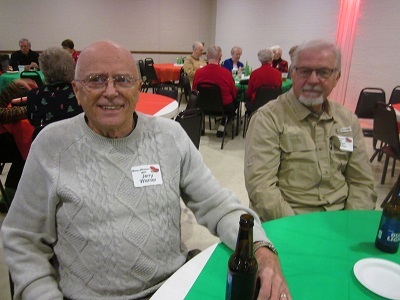 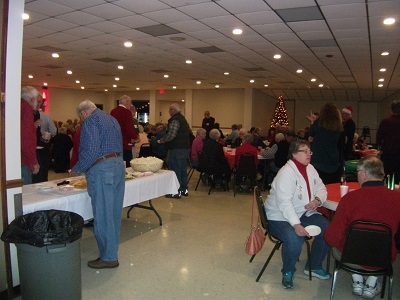 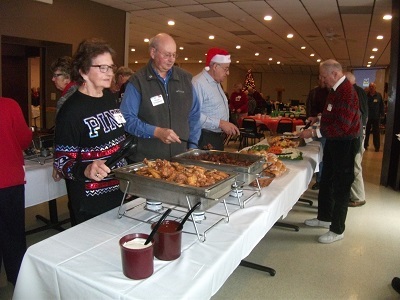 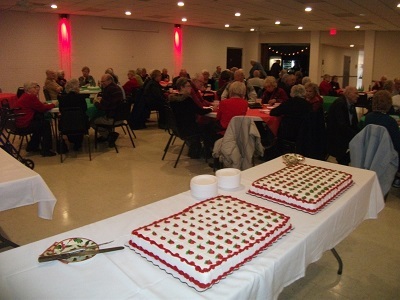 Also Rita Kiefer,Wayne Wellik, Joan Buske, Bob Mesarchik, Duane Haugen, Bill Beaupre, Jim and Alice Miesbauer, Larry Plank, Bob Thode, Horst Truestedt, Nyckie Evans, all involved in a multitude of chores including decorating, food serving, obtaining door prizes, survey, photos, entertainment, cleanup etc. 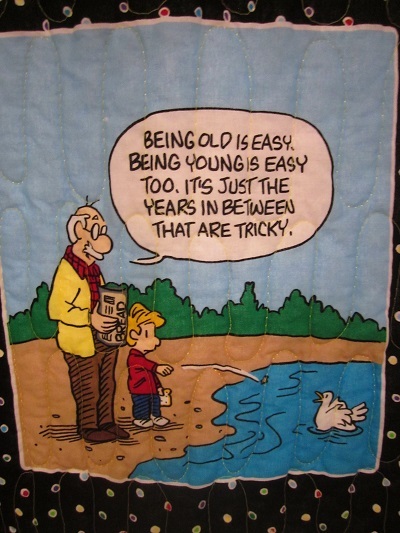 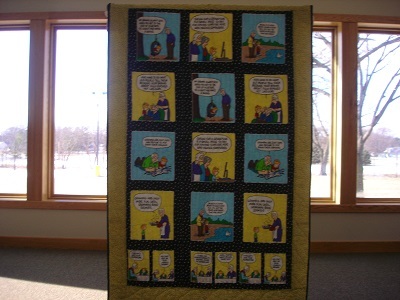 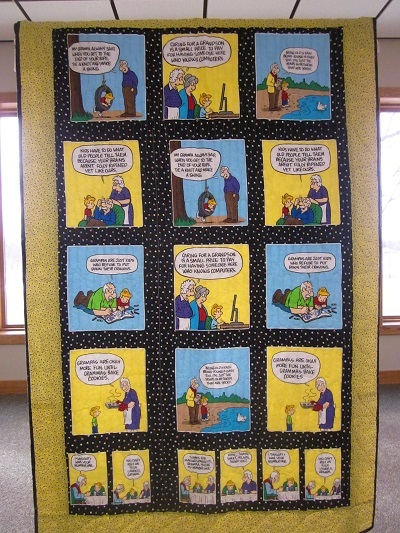 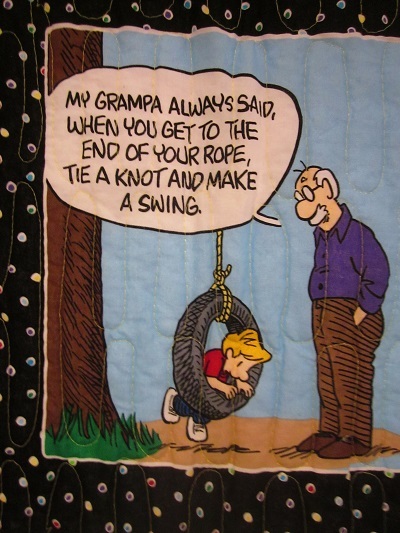 We want to recognize the door prize donors including Sue Norell for the unique "PICKLES" quilt. 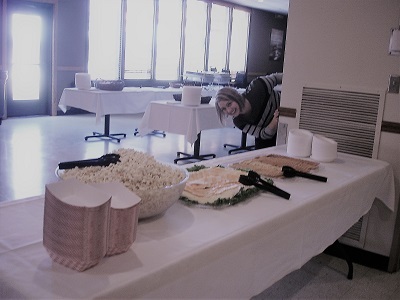 Also Willow Creek Golf Course, Rochester Tennis Connection, Hubbell House, 125 LIVE, Rochester Civic Theatre, Rochester Ford, Victorias, Carousel Floral, Grandma's Kitchen, Rochester Athletic Club, THINK Bank, Canadian Honker Restaurant, Rochester indoor golf, Terrarium Treasures, Hillcrest Barbers, Perkins South, Olive Garden, Lupient Buick/GMC, Charlie's Eatery, Lewiston auto, Megan Harms.